Jack's Photo & Travelblog: Autumn in South of France. Lac de la Raho. Autumn in South of France. Lac de la Raho. Walking around the artificial lake Raho is app. a 7km tour. There is a fine gravel road around the lake following the shores. 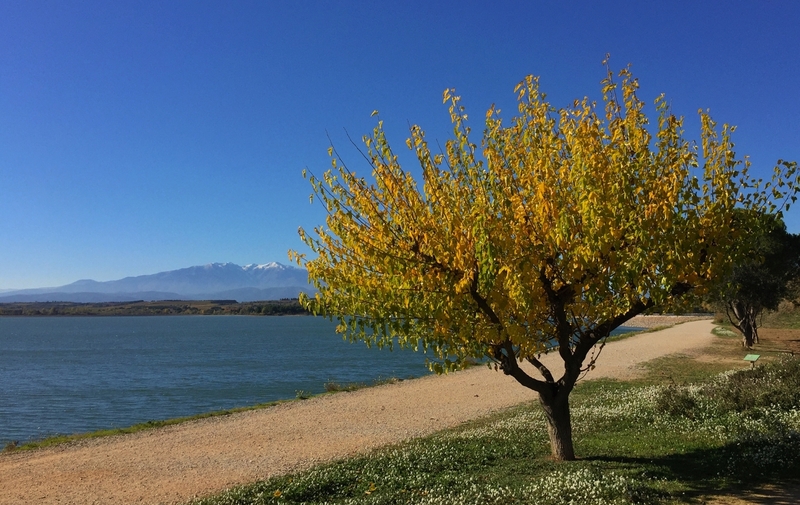 From this point we have a good view also to the majestetic Mont Canigou in the back - The Holy mountain of the Catalans. Lac de Villeneuve-de-la-Raho is a lake located in the town of Villeneuve-de-la-Raho in Pyrénées-Orientales, France.